Should You Buy or Lease Office Space? 3 Tips to Help You Decide - Maus, Warwick, Matthews, & Co.
Are you unsure of whether your business should buy or lease office space? This question can be difficult to answer and depends on various specific factors of your business. There are benefits to both, but it is important to fully evaluate your options before coming to a decision on if you should buy or lease office space. The size of your company, the number of employees you have, and the type of work you do will determine the square footage and type of office space needed for your business. Consider how much space you need today as well as in the future. Do you expect your business to grow? If so, how quickly will you need more space? What is my financial status? Leasing office space offers more financial flexibility. You do not have the large down payment often seen with purchasing an office space. Furthermore, lease payments can be deducted on taxes and maintenance costs are typically covered by landlords. By leasing commercial property, you may be able to be in higher end areas without the cost of purchasing property in that area. Buying property provides multiple benefits as well. Buying office space allows you to build equity, maintain steady payments, depreciate the building, and rent out any extra space you might have. What other factors should I consider when deciding? Your needs, timeline, and the desired location will factor into the list available properties. In addition, zoning and pricing as well as physical elements like parking and accessibility will be be important to discuss with your commercial real estate agent. 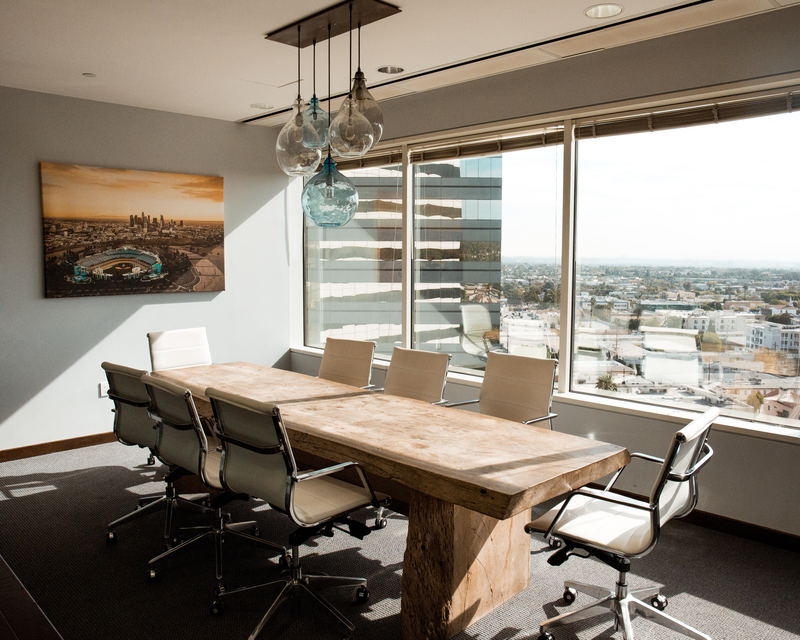 Be prepared to discuss your business and office space needs, both large and small. Unfortunately, there is no one universal answer to the question of whether you should buy or lease office space for your business. Our experienced team at Maus, Warwick, Matthews & Co. will be able to walk through all of these questions with you to find the perfect solution for your business.